Staff awareness training is essential to success – whether for conformance to standards, regulatory compliance or everyday operational effectiveness. If your organisation needs to train its staff quickly and efficiently, e-learning is an especially effective and popular approach. It is also particularly helpful when you have large numbers of staff to train on an irregular basis, such as for induction purposes. E-learning is, quite simply, learning conducted via electronic means. Users take courses in their own time, at a location of their choice, on their computers. Content is usually hosted online, on a learning management system. What are the benefits of e-learning versus classroom training? 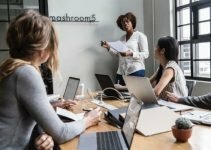 From a corporate point of view, sending employees away on classroom courses can be prohibitively expensive, both in terms of actual training costs and in staff absence. This is especially true if you operate on a large scale. It may seem that in-house training is the obvious solution, but that, too, has its disadvantages. 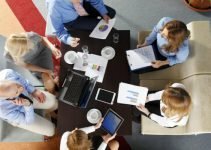 Gathering everyone in a room and bringing in a trainer or consultant can often be adversely affected by attendance and administration problems, as well as requiring substantial investment. However, if you still want a structured approach to learning, e-learning courses are likely to meet your requirements. First and foremost, e-learning courses offer considerably better value than classroom-based ones. There are no venue, trainer, accommodation, travel or subsistence costs, and training materials can be downloaded and accessed online. E-learning also offers a radically different pricing structure when applied on a large scale: as the number of people undertaking an e-learning course isn’t limited in the way in-house or classroom learning is, staff training can often be very cost-effective, especially as the learning programmes can be redeployed whenever required. 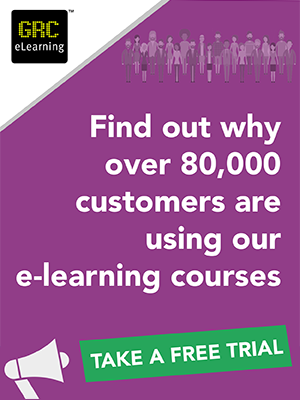 With e-learning, regular staff training can be delivered for less than £1 per person per year. E-learning presents the course information much more efficiently than a classroom or in-house course can. There is no limit on class sizes, so any number of staff can be trained at any one time and, freed from the distraction of other attendees, it takes less time to start and stop. In a classroom, learners are slowed (or hurried) through the course material by others and have little control over the pace, so the learning experience can be less effective. With e-learning, learners go at their own pace, if necessary re-treading areas they haven’t quite grasped or skimming over areas of existing expertise. Classroom and in-house courses succeed or fail in large part because of the trainer and the mix of people attending. Learners are entirely subject to the personality and mood of the trainer, and potentially to the demands of the loudest of their fellow attendees. E-learning courses do not vary according to teacher, nor are they dominated by other attendees. This approach is truly egalitarian: they are designed by experts to aid easy comprehension, and information is presented clearly so that everyone receives exactly the same teaching. This not only benefits them, but also makes assessment a great deal easier. Candidates are assessed automatically and impartially as they proceed. This also means that minimal administration is required: you can quickly and easily generate records of which staff members have accomplished courses and how they have fared, which could be used either for internal audit purposes or for external review. An obvious advantage over classroom and in-house courses is that e-learning is accessible anywhere in the world at any time. The advantages for a diversely spread workforce are obvious. E-learning is far less disruptive than conference-calling as a means of contacting far-flung colleagues, and it is easier for the individual: staff train in their own time at a venue of their choice. This is particularly helpful for staff awareness training as part of the induction process, which will need to be undertaken on an irregular basis. 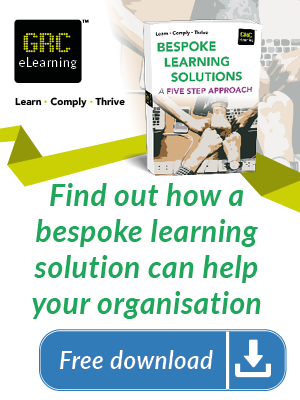 The other advantage to e-learning is flexibility: learners can stop and start as their workload demands, meaning there is less disruption to everyday working, which obviously has a positive effect on finances. E-learning courses can be quickly updated and tailored to suit the needs of your organisation, meaning you get a more personal training programme for your staff. If, for example, you have bought a training course to improve staff awareness of a new set of policies for regulatory compliance, then an e-learning programme can be to tailored to your specific needs and reflect your own policies, which a generic classroom course would be unable to achieve. Courses can also be customised to suit your corporate branding, which improves internal messaging, makes the learning experience feel more authentic and improves learner engagement. E-learning is an especially effective means of training larger groups, which makes it ideal for staff awareness programmes, as numerous studies have proven.